This world-class competitive scull is constructed with 100% high modulus carbon and accented by the exclusive blue rigger. The BlueMax is the lightest, stiffest, and winningest scull on the market. All high modulus carbon that increases the stiffness and reduces the weight from an Elite model by .75 lbs. 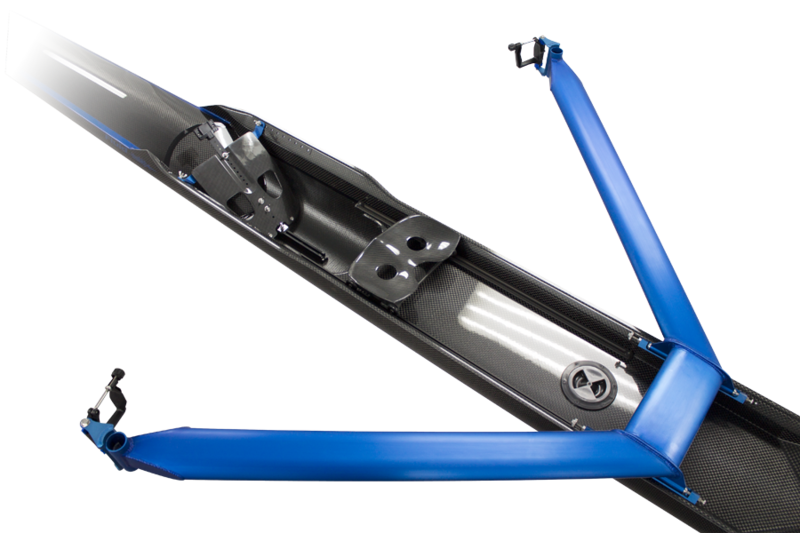 New modular aluminum bow mounted rigger anodized blue. Carbon footstop with blue accent. All stainless steel with anodized blue rigger rails. 11" 11" 11" 11" 11" 11 1/4" 11 1/4"
Order a Fluid BlueMax Single today.